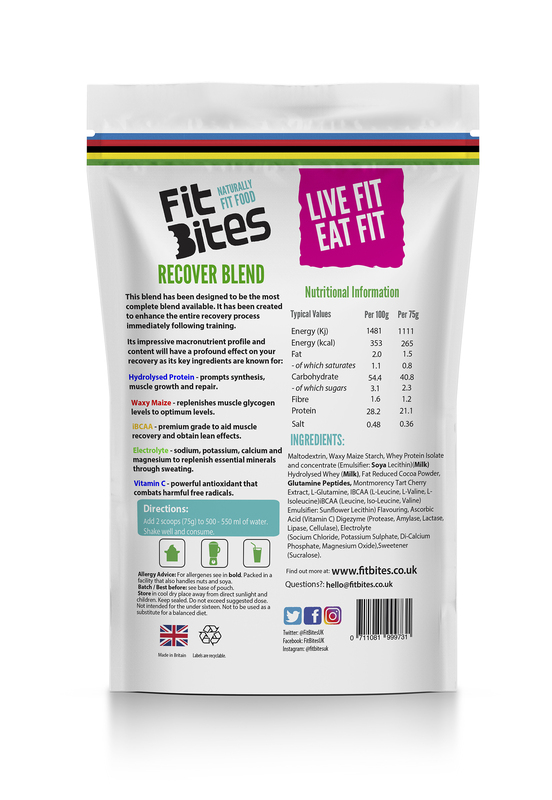 What’s in FitBites Recover Blend? Prompts synthesis, muscle growth and repair. 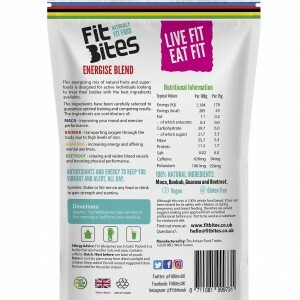 Its rich amino acid profile means it is ideal to be used post workout as it delivers these amino acids and protein to the muscles faster than any other form of protein. When it’s not being saturated with sugar, cocoa is full of naturally-occurring antioxidants, vitamins and minerals, including magnesium, phosphorus and potassium, which contribute to maintaining healthy blood pressure. Relpenishes muscle glycogen levels to optimum level. 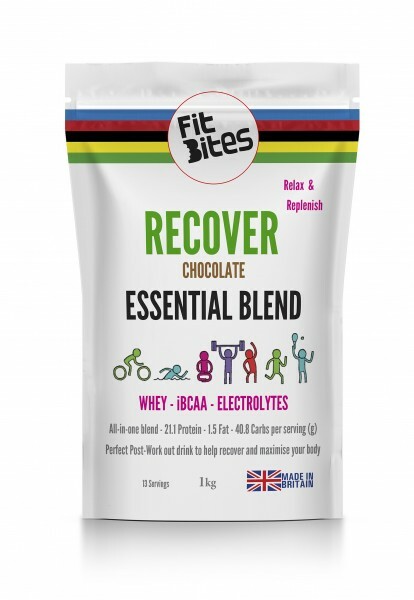 Using in carbohydrate powders will provide a further benefit in quickly offering protein and nutrients to the body so that endurance and recovery time is increased with minimal fatigue. Premium gradfe to aid muscle recovery and obtain lean effects. 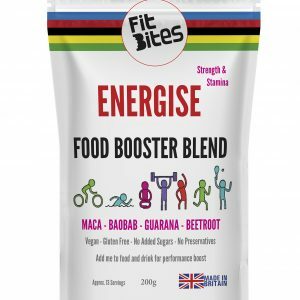 Helps reduce exercise fatigue and prevent muslce wasting. Sodium, potassium, calcium and magnesium to replenish essential minerals through sweating. They also regulate the amount of fluids throughout your body, which affects cellular function, blood volume and blood pressure. Powerful antioxidant that combats harmful free radicals. It is necessary for the growth, development and repair of all body tissues. It’s involved in many body functions, including formation of collagen, absorption of iron, the immune system, wound healing, and the maintenance of cartilage, bones, and teeth.